When it comes to fake tan I don't like to mess around - I don't have time for gradual developing, high maintenance, or a tan that disappears the second you step in the shower. I like to put on a layer of dark tan and not have to worry about it for the next week or so. 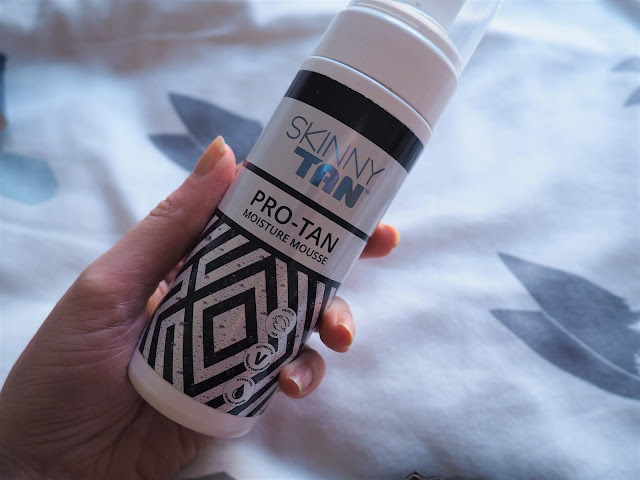 So, enter Skinny Tan's latest product, Pro Tan Moisture Mousse, which it says is its deepest, darkest, most hydrating tan yet! It's infused with coconut water, aloe vera and vitamin E to be hydrating on the skin and is made with 95% naturally derived ingredients - no nasties like parabens or sulphates - and it's Vegan friendly. So far sounding good. Pro Tan's key unique feature is its time-lapse colour so you can control how dark you want your tan. 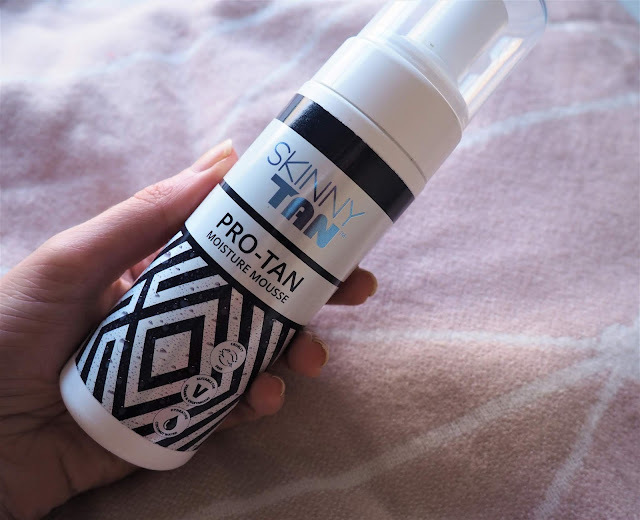 They say you can wear the instant, natural colour straight out the door, leave it on for one hour for a bronzed glow, three hours for a medium tan, or leave it 5 to 8 hours for a deeper, rich colour (I prefer this and apply my tan at bedtime then let it develop overnight). My verdict: the whipped mousse means it's really easy apply and the guide colour helps you see exactly where you're putting the tan. It dried quickly so I could pretty much pop my pyjamas straight on and get into bed, however, there was a little bit of colour transfer to my pyjamas and bed sheets overnight. Skinny Tan's products are scented Coconut and Vanilla which smells delicious but is really quite a strong smell. After washing the tan off in the morning I was pleased to see it left a deep, bronze, even colour that was dark while still looking natural. It lasted around five days to a week before starting to fade. I have very dry skin so it's important to moisturise daily after applying the tan or else it does start to fleck on your skin and won't fade evenly. Overall I'm hugely impressed with this tan and love how quick and easy it is to apply without the need for top-ups a few days later. Skinny Tan Pro Mousse is available from Superdrug for £27.99.